Do You Have Enough Freedom? The lesson most poignant in the book was Guillebeau’s explanation that, a business can be made by converging your passion and skills in creating something valued in the market. You may think—oh no, I do not have any skills!—But you do, if you become creative. An example in Chris’s book is Michael Hanna who after being fired from his job was given a truck full of mattresses that he successfully sold individually on craigslist. After the first few sales he had an idea: He could create a mattress business built around the family and so different from the seedy nature of many mattress dealerships. Thus, thanks to his ability in selling and desire to help others he started a business where the whole family would be involved in buying the mattress. He set up a play area for the shopper’s children and a coffee bar for the adults. He also became the first person to have a bicycle mattress delivery service—free if the shopper arrived on bike himself to find the mattress! Thus, VALUE can be created by deploying a skill you already have in another form. 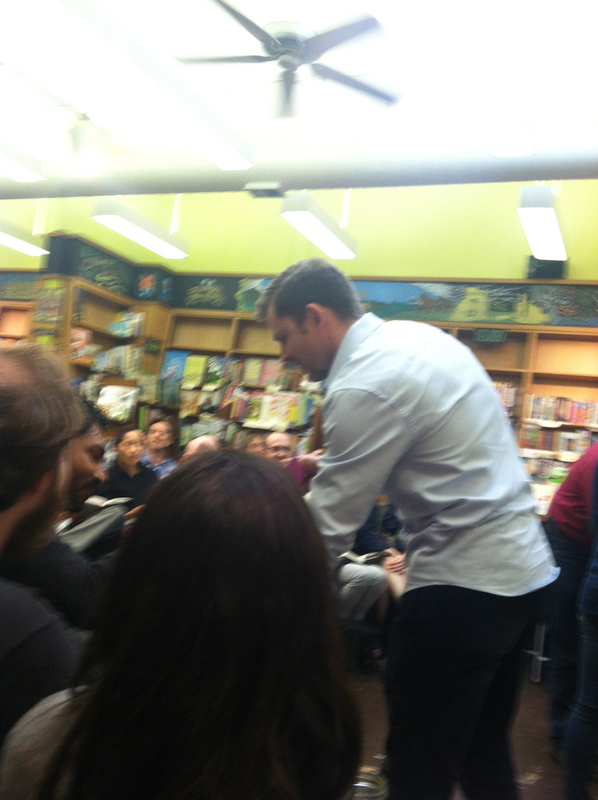 Chris handing out cupcakes to the packed book store. standing room only!!! Value, Guillebeau writes, means helping people. Business does not have to be so cutthroat. It does not have to be so sterile and corrupt. By thinking in the terms of creating a tool that make people’s lives easier and less-stressful and, which people see value in buying—you have yourself a business. San Francisco is a beautiful bubble. 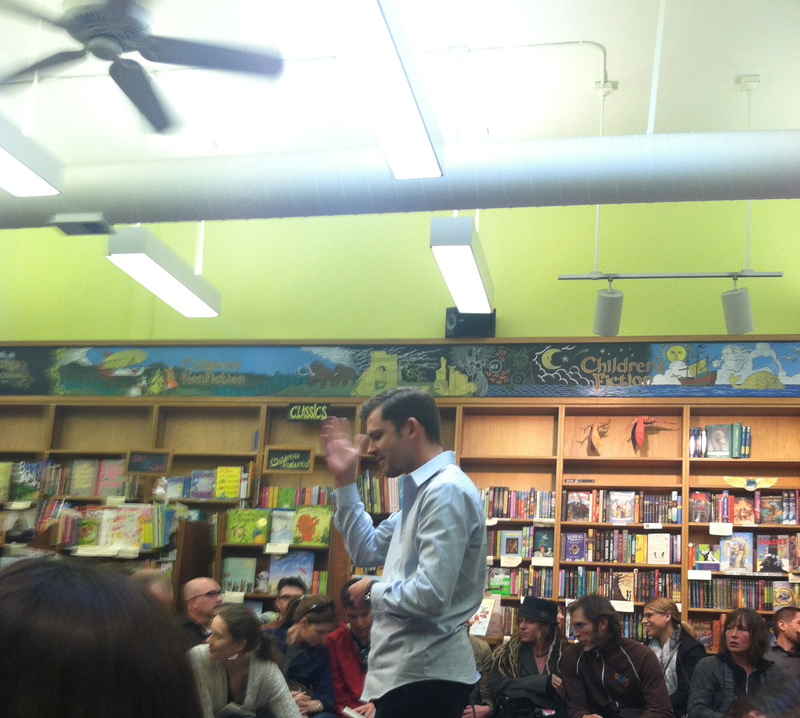 Last night at the book signing I met fellow bloggers and people that want more freedom in their lives. I have never received more “congratulations!” on not returning to college next year. So bizarre and so awesome. But, I realize that I am in a very unique position: I live in the Bay Area. I understand that the sentiments of San Franciscans and Tech-Valley people are dissimilar from the majority of the world. It is not that others cannot create businesses stemming from their creative enlightments BUT, it is just much more common and accepted here. In San Francisco“What startup are you building?” is never far from anyone’s tongue, while elsewhere the question may be, “My God, are you sure you want to take the risk of starting your own business?” Bay Area people tend to see entrepreneurship (I am sorry to use that pretentious word again—I will start thinking of another word!) as a conservative choice in the unstable job economy of today. 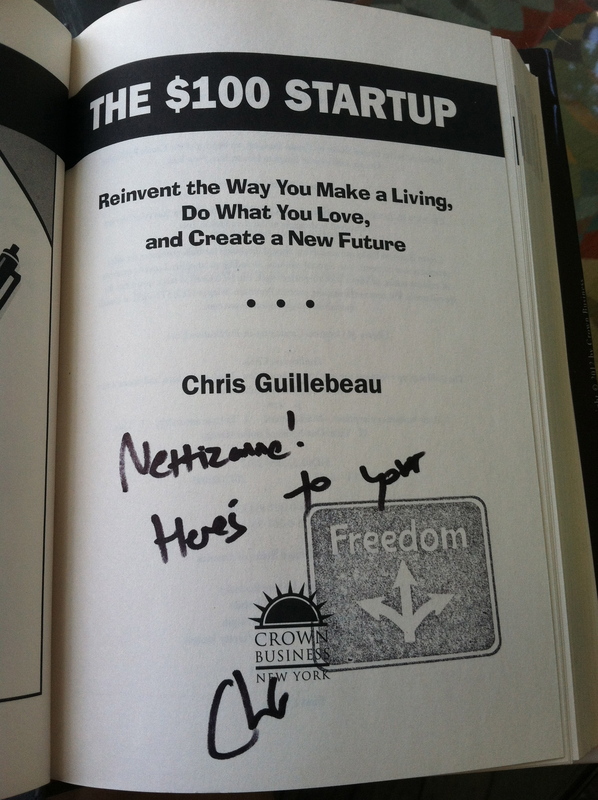 Saying that, Chris Guillebeau has an extremely big following globally and his book explores micro-businesses from around the world. I can just imagine that people in the Bay Area are much more supportive of this type of do-it-yourself employment than others. Reading this book and meeting with Chris (He recognized me out of his 77,863 twitter followers after tweeting him earlier in the day) further encouraged me to live by Steve Job’s saying: “Your time is limited, so don’t waste it living someone else’s life.” Chris measures the success of his book by the action people take after being inspired: Chris, you are successful in my book as I already have an idea in mind which I will start working on in Beirut! ← Our Constitutional Rights Going Out The Window Again?